Garden rose tortricid moth or fruit tortricid. The tiny (about 0.5mm) pale yellow to red eggs can sometimes be spotted along the midribs of leaves in the spring. 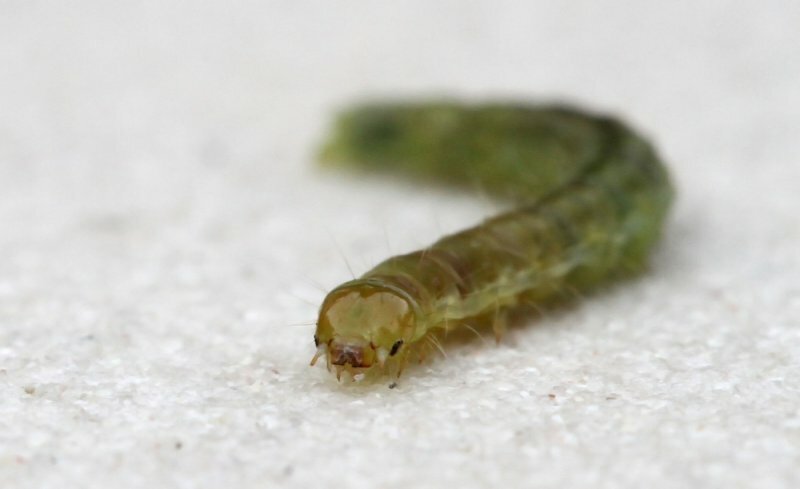 They hatch into light green or yellow-green larvae which are around 14mm long and have yellow/green-brown heads. The larvae spin webs to fold or curl leaves, creating shelters for themselves. The light brown pupae which are up to 8mm long may also be spun into these leaf hide-outs, or can be found amongst fallen leaves in the autumn. The adult moths have a wingspan of up to 20mm and appear white towards the head, darking to brown midway down the wings, although they can be a darker grey colour darkening to almost black. Adult moths are mainly nocturnal and appear from July to September. 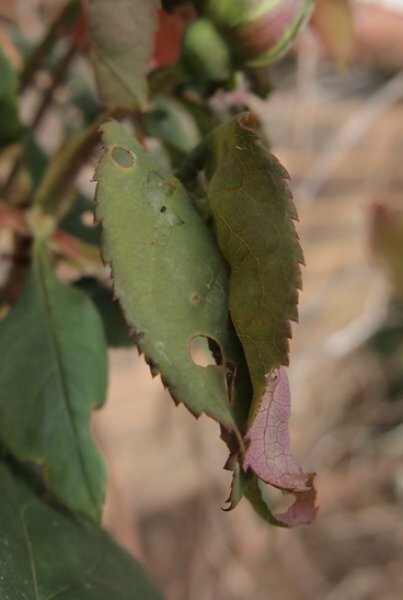 They lay eggs singularly or in batches on either sides of the host plant’s leaves, usually along the midrib, which overwinter and hatch the following spring. The larvae feed from May to early July before pupating. 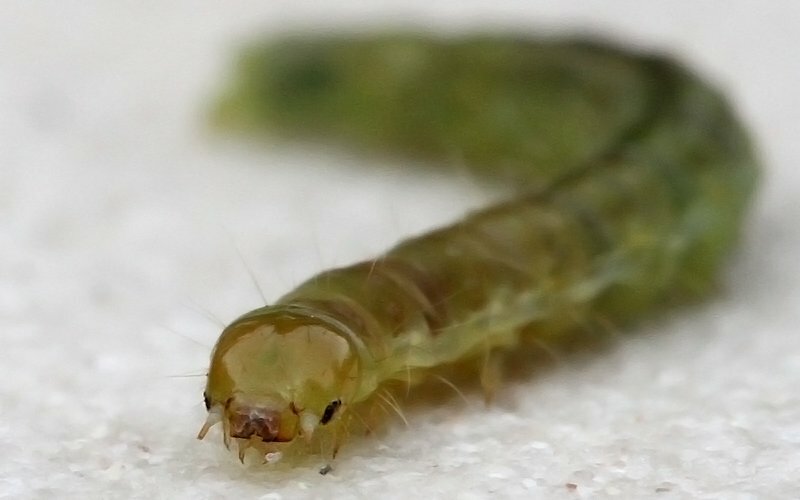 The larvae feed on young shoots, causing them to distort. They skeletonise or completely consume leaves. 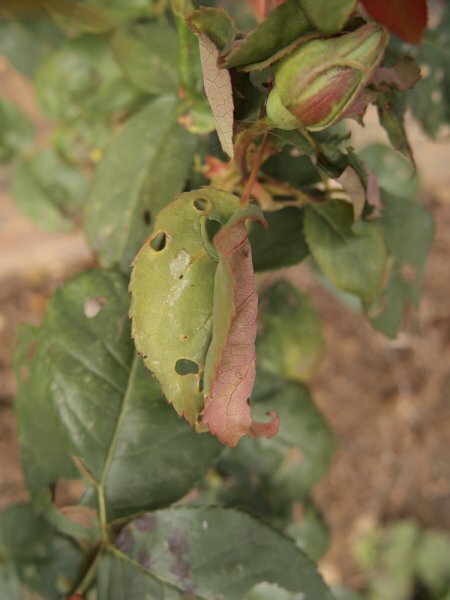 Damage may also be done to buds, flowers and fruit. 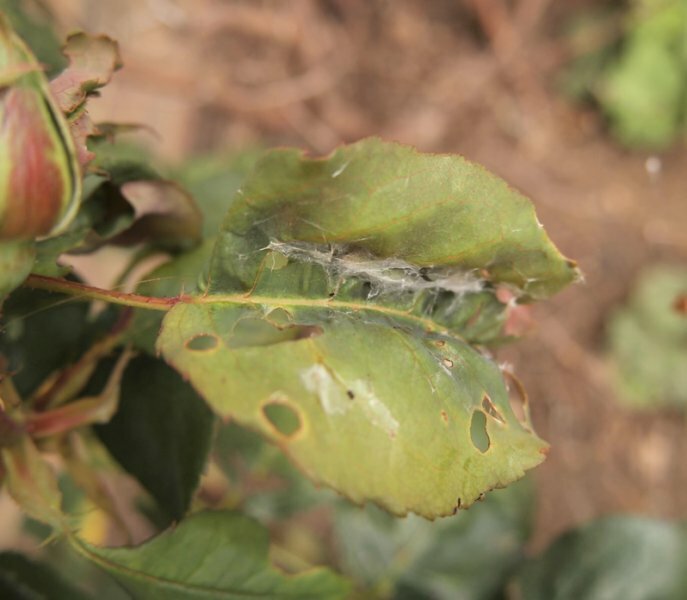 Most commonly found on roses (Rosa), but also occurs on flowering cherries or blackthorns (Prunus), brambles (Rubus), hawthorns (Crataegus), apples (Malus), pears (Pyrus), hornbeams (Carpinus betulus), barberries (Berberis) and other tree or shrub species. Clear up fallen leaves to remove overwintering eggs or pupae. Remove weeds which can also be a host, such as brambles. Squeeze together leaves which have webbing on them to crush the inhabitants! This should be sufficient to deal with a light infestation. Nematode biological controls are available to deal with the larvae. Chemical controls can be used, contact insecticides are usually effective.